The newest recruit to the PC Roadshows DJ Academy and team Danny has already been filling dance floors and entertaining at parties and events throughout the North West. 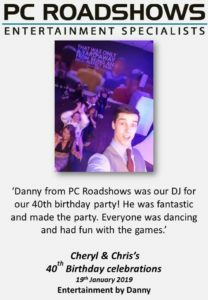 Danny has been with PC Roadshows for almost 12 months and has already mastered the skills and tools required to create an amazing atmosphere at parties, get guests out of their seats and onto the floor dancing away. 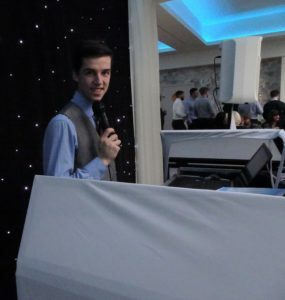 Danny is already an amazing DJ with experience of entertaining at all kinds of events including weddings, birthdays, anniversaries and more and has hosted events and presentation evenings. 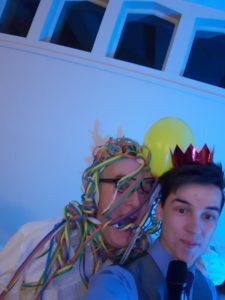 A birthday party for your child or a christening, not a problem Danny is already becoming a true all round entertainer and DJ. Danny is an amazing young DJ with a big future ahead of him.